Located in the exclusive area of ​​Aldea Zamá, it is located a few minutes from Playa Paraíso, considered among the top 10 worldwide, as well as other beautiful beaches of Tulum that stand outs for their impressive turquoise tones, which have served as an inspiration for the creation of the unique concept. The exclusive condominium complex consists of 18 spacious units (from 93.42 m2 to 200.3 m2) of 2 and 3 bedrooms. 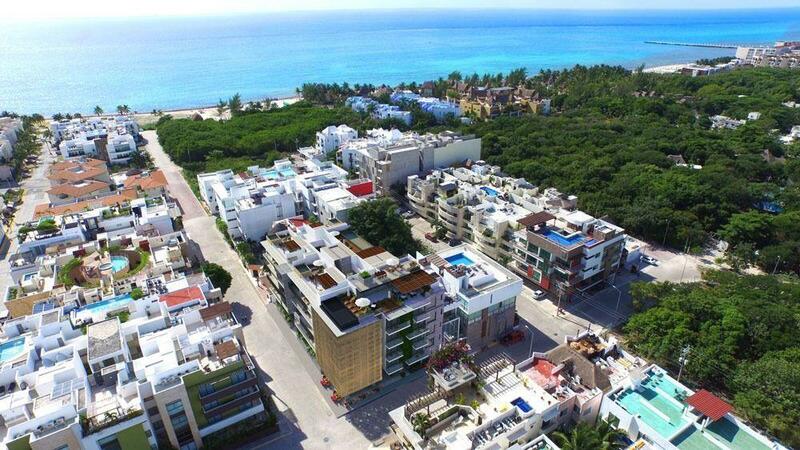 Conformed by a ground floor and 3 residential levels that offer all the necessary comfort for a first level experience in the paradise that is Tulum. The area in constant growth counts with paved streets, underground services, wireless internet, security and a commercial area planned to take place in the following years, which includes from offices, shopping centers to covering various essential services.